The military has a problem. Its weapon systems run on computer code that could have up to five bugs per thousand lines of code and it does not think there are enough experts in America to test their code sufficiently. And robots? They can't get the job done either. But you could help. The Pentagon is trying to start a four-year $32 million program to turn the testing of weapon system computer code into video games. The United States simply does not have enough experts in formal verification of software to provide … manual analysis on the scale required to support formal verification of software in modern weapons and other systems relevant to the Department of Defense. The purpose of CSFV is to replace the requirement of expert knowledge in formal verification with human insight in the form of solutions to games. The announcement is dense with language like that and void of any description of the games. They don't say if they're looking to make puzzle games, games about targeting and shooting or who knows what. The primary research challenge faced by CSFV is automated translation from formal verification problems to compelling games for end users to solve. DARPA expects (but does not require) that games will be instances of templates, more specific than game engines. Note that full automation to produce games will be essential, as there will be far too many games for manual fine tuning: DARPA expects at least hundreds of thousands of games to be needed. DARPA calls this piece of software a fully-automated game level builder. A function of the formal verification tool, the property to be verified, and the program being verified. All styles of games are within scope of the CSFV program. Proposers should offer their most compelling game design. DARPA is ready to dole out funding to universities, researchers and companies looking to help make these games and the systems around them. They're planning to award nearly $5 million in the next year for this and a full $32 million into 2015. If you're thinking that this is the wrong way to go, that video games and the people who play them are the wrong tools to test America's next great weapons, just understand that there is no good alternative. 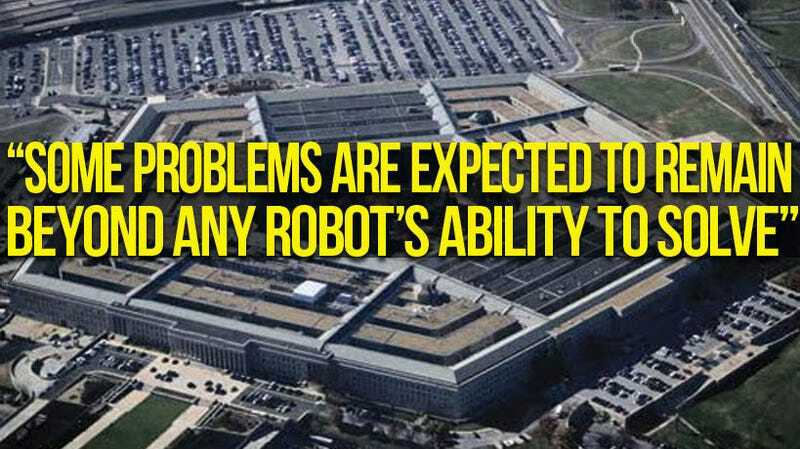 From the announcement: "Some problems are expected to remain beyond any robot's ability to solve. " So much for that option. And if this sounds familiar, DARPA was already trying to get gamers to help improve the Navy's submarines.